Welcome to The Dancer's institute! We are so excited you are here! Technique, creativity, passion, and love are all elements of dance in which we want to see our students find success by taking class at our studio. Please complete the following registration form. Please click on the Search button below, then choose the class. If you have any questions regarding classes, please call us at 510-703-7630 or email us at thedancersinstitute@gmail.com. I hereby approve of my child participating in the courses for which he or she is registered at The Dancer's Institute. I certify that the information on this Liability Waiver and Photo/Media Release ("Waiver") and the related Medical Release Form is true to the best of my knowledge. I understand that I must complete a separate Waiver for each of my children who participates in The Dancer's Institute's courses. I understand that physical activities, such as those at a dance school, naturally contain risk. Activities that my child will engage in include, without limit, mild to strenuous cardiovascular activity. During those activities my child may encounter inherent hazards and risks, which include, without limit, minor scrapes and abrasions, falls, broken bones, sprains, strains, aches, pains and injuries to the neck, spine, chest, abdomen, shins, joints, feet, toes, legs, arms, fingers, hands, teeth and back of the body which may arise from falls, slips, bumps, trips, stretching and exercises or from illnesses arising from colds, a flu, infections and other communicable diseases. 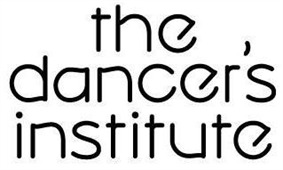 I understand that pre-existing medical conditions that may hinder my child's full participation in this course as well as improper technique learned prior to enrollment at The Dancer's Institute or concurrently from others also may result in injury to my child during the course of a The Dancer's Institute class. I understand this description of potential risks is not complete and that unknown or unanticipated risks may result in illness, injury or death. In consideration of the benefits to be derived from participation in activities at The Dancer's Institute, and after taking into account the above risks, I choose for my child to participate in The Dancer's Institute's courses. On behalf of my heirs, assignees and personal representatives, I expressly waive any and all claims against The Dancer's Institute, its employees, volunteers, staff, and other representatives working under the direction of The Dancer's Institute or engaged in the conduct of its affairs, arising out of any accident, illness, injury, damage, liability or other loss or harm to or incurred or suffered by my child or my child's property in connection with or incidental to any activity with The Dancer's Institute. I agree to defend, indemnify and hold harmless The Dancer's Institute, its employees, volunteers, staff and other representatives, or any of them against all claims, demands and causes of action, including court costs and attorneys' fees, directly or indirectly arising from any action or proceeding brought by or prosecuted for my benefit contrary to this Waiver. My child is in good physical condition and there is no reason that my child cannot participate in any of the activities of The Dancer's Institute, unless otherwise indicated on the Medical Release Form. I understand that it is strongly recommended that my child have a physical examination by a physician to approve my child's participation in strenuous physical activity. If my child becomes ill or is injured while involved in any activity with The Dancer's Institute, I consent to any emergency medical or surgical procedure or treatment considered necessary. Any costs incurred by or for my child will be my responsibility, including that of an ambulance or helicopter if deemed necessary. No costs incurred to respond to a medical emergency will be the responsibility of The Dancer's Institute. In an emergency, I authorize The Dancer's Institute to release my child to the persons identified as Emergency Contacts on this form if I am unable to pick up my child. I release The Dancer's Institute from any and all responsibility for problems that may develop when such persons take my child from the premises. I understand that The Dancer's Institute may not admit unimmunized children without a valid exemption. I understand that due to possible exemptions, there may be children who are not immunized in The Dancer's Institute's programs and activities. When there is "good cause to believe" that an unimmunized child has been exposed to a communicable disease listed in California Health & Safety Code Section 120325, that child may be excluded from the program until the local public health department decides that child is no longer at risk of developing the disease. PHOTO & VIDEO RELEASE: I authorize The Dancer's Institute to include and publish photos, videos and audio of my child in all internal documentation, curriculum materials, professional presentations such as conferences and marketing materials and on The Dancer's Institute's website. If any media outlet requests imagery of The Dancer's Institute courses, I authorize the use of photos and videos containing my child. Classes are billed on the first of the month every month. We accept Visa, MasterCard, American Express and Discover. If you for any reason need to drop a class, you need to fill out a withdrawal form on the 15th of the month PRIOR to the month you wish your card to stop the billing cycle. There will be a $35 registration and insurance fee that will be charged to your account at the beginning of every dance year, per student. Refunds for classes that have already been taken will only be issued in the case of an emergency (family death, injury, disability). Ballet Classes starting at level 1 and going to level 5 are 1.5 hours in length. Adult classes are $18 and are payed before each class attended. Each student should be correct dress code attire. Please make sure you pack your dancer the appropriate clothes for each class. All dress code items will be for sale in our store when we have our permanent location. New students have three weeks once they have joined the class to acquire the appropriate attire. If a student is not in dress code for two weeks in a row they will be asked to sit out. Leotard and tights are preferred, ballet slippers with leather bottom (to prevent slipping and to protect forming feet), all types of skirts are acceptable as long as the dancer can move, hair clean and swept off of face. Pre Ballet Classes: Light pink cap sleeved leotard, pink tights, pink leather ballet shoes with leather bottom, light pink ballet skirt is acceptable, hair clean and swept off of face. Ballet 1 (10 and under): Baby blue cap sleeved leotard, pink tights, pink leather ballet shoes with full sole leather bottom, light blue ballet skirt is acceptable, hair should be in bun, french braid or twist. Ballet 1 (10 and older): Black cap sleeved leotard, pink tights, pink leather or canvas ballet shoes with split soled bottom, no skirts or shorts, hair should be in bun, french braid or twist. Ballet 2: Black tank leotard, pink tights, pink leather or canvas ballet shoes with split soled bottom, no skirts or shorts, hair should be in bun, french braid or twist. Ballet 3: Burgundy camisole leotard, pink tights, pink leather or canvas ballet shoes with split soled bottom, no skirts or shorts, hair should be in bun, french braid or twist. Ballet 4: Navy blue camisole leotard, pink tights, pink leather or canvas ballet shoes with split soled bottom, no skirts or shorts, hair should be in bun, french braid or twist. Ballet 5: Black camisole leotard, pink tights, pink leather or canvas ballet shoes with split soled bottom, no skirts or shorts, hair should be in bun, french braid or twist. Pre-Pointe/Pointe: Ballet level leotard, pink tights, pointe shoes (must be pre-approved by instructor, do not sew ribbons until instructor approves), short black skirt acceptable, hair should be in bun, french braid or twist. Boys: White T-Shirt, Black pants (Black tights for levels 3 and up), white socks, black ballet shoes, dance belt required. Same as ballet class attire, dancers must be able to move freely, black tap shoes, hair clean and off face. Ballet level leotard or other leotard if not in ballet, pink or tan tights, black shorts, black split soled Bloch lace up tap shoes, hair clean and swept off face. Boys: Same as ballet dress code, but shorts are also acceptable, same tap shoes as girls. Same as ballet class attire, dancers must be able to move freely, pink ballet shoes, hair clean and off face. Ballet level leotard or other leotard if not in ballet, pink or tan tights, black shorts, black jazz shoes, hair clean and swept off face. Boys: See tap dress code, black jazz shoes. Ballet level leotard or other leotard, pink or tan tights, black shorts, half soled shoes with elastic straps at back, hair clean and swept off face. Crop tops and other similar style dance tops are acceptable, must be black. Boys: See tap dress code, barefoot. Boys and Girls: Clothes that allow for movement, clean sneakers, hair clean and swept off of face. NO denim, no street shoes. Clothes that allow for movement, bare feet, hair clean and swept off face. The Dancer's Institute T-Shirt and shorts, pink or tan tights, appropriate footwear for the dance number and hair clean and off face. At competitions/conventions dancers are also required to wear The Dancer's Institute warm-ups in appropriate level color and The Dancer's Institute T-Shirt. Clothes that allow for movement. Appropriate shoes for the genre, clean sneakers for hip hop.